«1921: Former Husker William Hayward is named U.S. attorney for the Southern District of New York. Hayward, a four-year letterman at fullback and tackle whose last season was 1897, was a veteran of two wars and commanded the famous Harlem Hellfighters regiment of African-American infantrymen during World War I. 1926: Husker halfback Roland Locke sets a world record in the 220-yard dash, one week after setting the 100 record. 1946: The outlook for the coming season brightens with word that Tom Novak and several others plan to enroll. 1966: With two weeks of spring drills left, coach Bob Devaney is unhappy with the progress of the offense. 1976: The Whites upset the Reds, 29-26, in the spring game with a touchdown pass in the final 90 seconds. Also, the Chicago Bears sign former Husker quarterback Jerry Tagge. 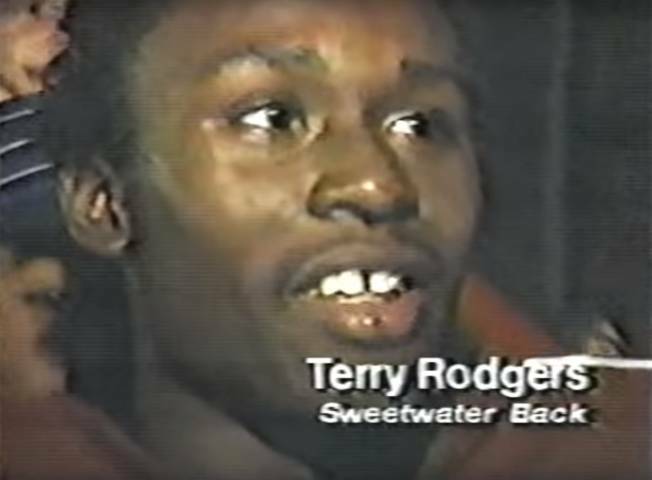 «1986: Terry Rodgers, son of the Nebraska Heisman Trophy winner, announces he'll be a Husker. He had delayed his decision long past the February national signing day. 1991: Sports Illustrated looks at Tom Osbornes efforts to solve the Huskers big-game woes, but the coach says he doesnt plan to read the article. 1996: Nebraska restores the athletic scholarship of Kate McEwen, the basketball player assaulted in 1995 by I-back Lawrence Phillips. 2001: Student football tickets are sold out several months earlier than usual, which means freshmen enrolling in the fall will be out of luck. 2006: Shortly after saying he would transfer, Leon Jackson is back on the team.